Ryan is a 13 year old student at Northern Secondary School. 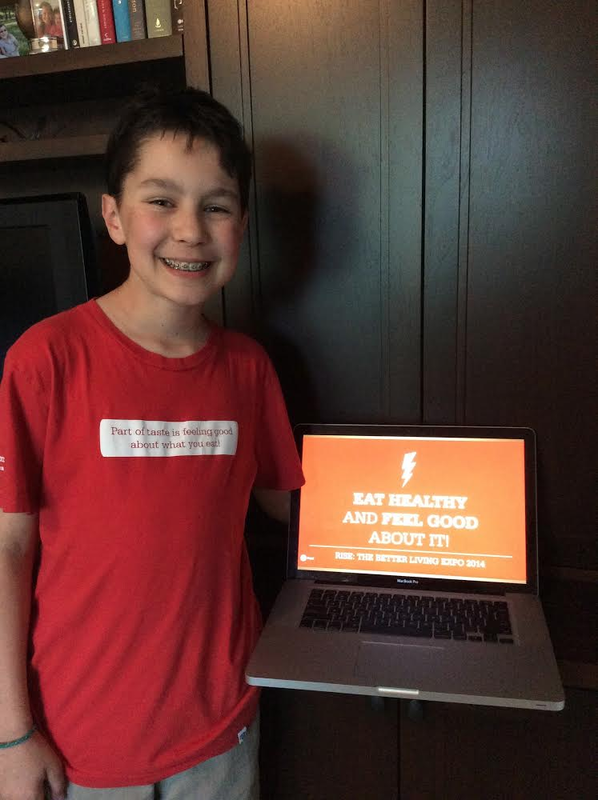 He's also a blogger in his own right, and a budding food activist, and when he heard that his school had invited the Canadian Sugar Institute (CSI) to "promote healthy sugary treats" in his school's cafeteria, he knew he had to be there. Unfortunately, shortly after Ryan showed up at the Canadian Sugar Institute's display, he was told that their presenters would no longer answer his questions and so I reached out to Ryan with a few questions of my own. Can you describe the school display from the CSI folks? that was my first big inkling of how much of a problem this was. The women were friendly at first and tried to explain to me that since sugar is in almost everything we eat today we should embrace it and then starting talking about how fruits even have sugars. What was the message the CSI folks were trying to teach the kids in your school. They were trying to teach about “healthy sugary treats” and actually used that term in promoting it! Absurd! I actually read it and laughed at first because of how much of an oxymoron that was! How many questions did you ask before you were asked to stop asking questions? I think I probably asked maybe 4 questions about their work and then 2 questions to see if I could interview them on camera or audio. What reason did they give you for why they were no longer comfortable fielding your questions? They thought I was being “too inquisitive” and also “invasive” into their privacy. They mentioned that they were university students and didn’t feel comfortable being asked questions. Thanks for taking the time to answer my questions Ryan, and thanks too for caring and trying to make a difference.